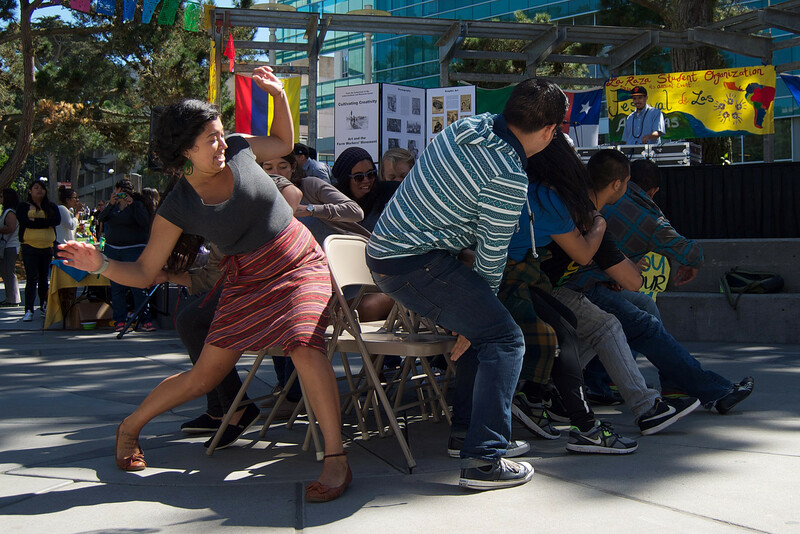 Vibrant banners and flags of Latin American countries adorned the stage in Malcolm X Plaza, Wednesday, as La Raza Student Organization celebrated its Festival de las Americas, an annual event in honor of Latin American independence days. Many of SF State’s Latino organizations including Hermanos Unidos, MEChA and ALAS were present at the event, tabling and selling snacks. “Festival de la Americas is to celebrate the independence of all the countries, but the reason why we put ‘celebrating resistance’ (is) because (independence) not only came through resistance, but resistance is still happening today,” said Emilytricia López of La Raza. She said the foreign policies of first world countries are more like economic imperialism. During the celebration a DJ played traditional and contemporary Latino music while the crowd square danced to a face-paced country-style Spanish song. 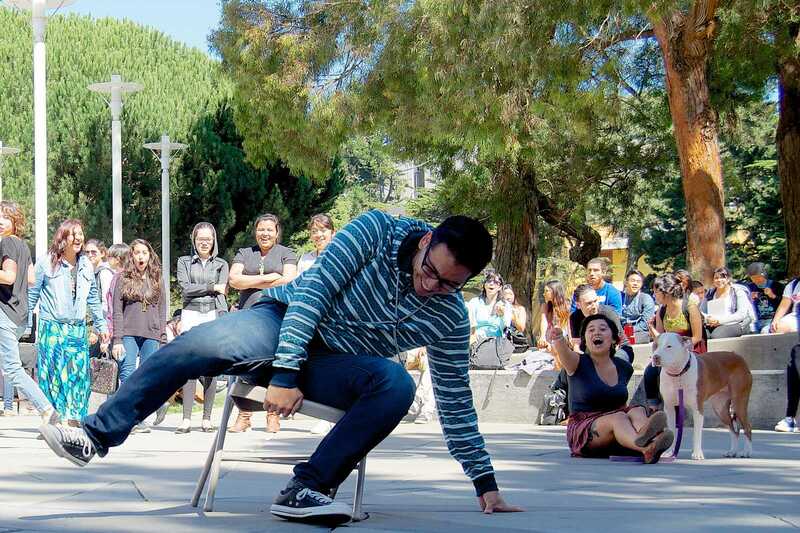 The event featured speakers Michael Villegas and Carlos Cordoba and singer freshman Marissa. William Mosley, a sociology sophomore who was watching the celebration while getting some sunshine in the plaza, said he appreciated the festival even though he’s not Latino because he feels its important to know your roots. Whatever…….. If my Irish people made as big of a fuss as the Hispanics .. we would have two La Raza.s groups… but we are not cry babies.. … thus, the rest of us… have to keep bottle feeding you…. wa wa wa… !! Pretty much most of us who don’t live daily to cry about our roots ..grow up and leave the baby bottle behind.